At the time when 'As Heaven Turns To Ash' has been originally released (whichwas in 2001), Southern Lord Recordings was one of my favourite record labels. The reason for this is simple: Greg Anderson had shown a lot of good taste in choosing bands for his label. There was The Obsessed, Internal Void, Church Of Misery, Grief, The Want, Goatsnake and Massachusetts' WARHORSE. Nowadays I've lost interest in Anderson's releases, except for a few reissues. One of these reissues is 'As Heaven Turns To Ash', which was th first WARHORSE album. 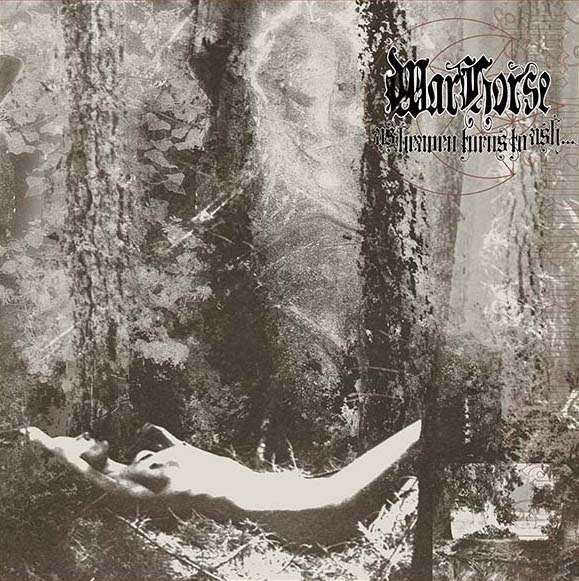 Previously there was only a demo tape (released in 1997, re-released in 1998), but there were WARHORSE an entirely different band with Krista Van Guilder on vocals, who is now in Second Grave. Back in 2001, 'As Heavens Turns To Ash' caused a great stir, because not much bands had pushed doom metal to its limits. And when that happenend the result was mostly pretty refreshing and creative - in contrast to today. This applied also to WARHORSE, who expanded doom metal by integrating a subtle psychedelic swagger to it as well as a crushing low-end sound. 14 years have passed since then, and I can say the album has aged pretty well for me. As a bonus, you'll get the band’s final two-track'I Am Dying' 7", which is in the same vein like the album.